Um, I’m not sure what to say about this one. 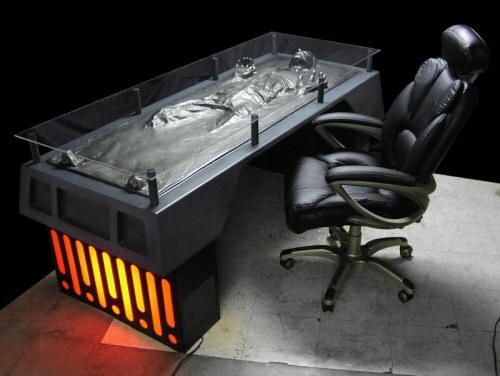 Tom Spina Designs created this Han Solo in Carbonite desk for a client. I would be incredibly productive with a desk like this. Just sayin’.